Wow. You're all so excited to see the Jalopnik Film Festival that we sold out of our $50 early bird passes in less than two hours, far exceeding our expected demand. So, we've added a few more. Great News! 1. 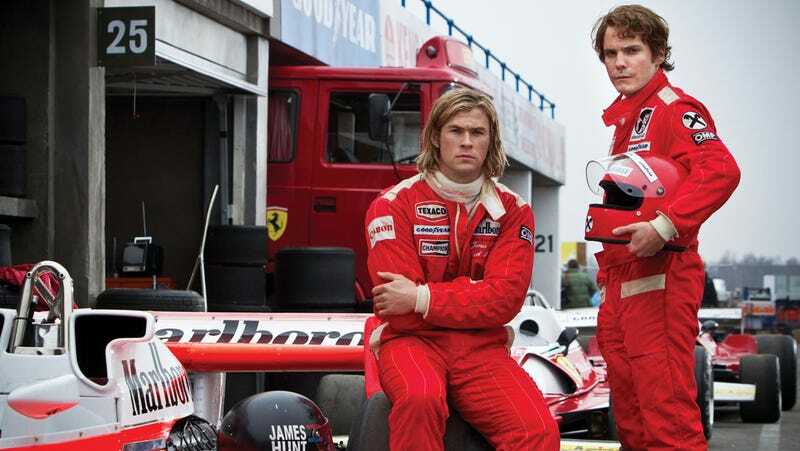 Tickets for all five films to be shown at the BAM Rose Cinema on September 19th in New York: Black Air, Grand Prix, Senna, a sneak early preview Easier Said Than Done, and the first public showing of RUSH. These films will also be followed by Q&As with journalists, drivers, filmmakers, and other notables. 2. A pass for the awesome panel/launch party for the JFF on September 18th in the evening. The idea was to get the $50 tickets to those who wanted to see the festival the most, with the $80 for everyone else. Alas, you all want to see it the most, so we've released a few more of the $50 tickets. After that, though, you're going to have to pay the extra $30. UPDATE: Out of early passes, now it's full price for everyone else!